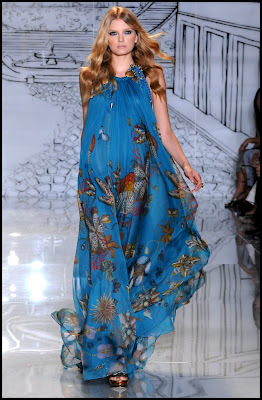 The Gucci Spring/Summer 09 collection. Breathtakingly beautiful, yet so simple. So elegant. I love the blue maxi dress Donaldson is wearing. It seems to scream, sheer luxury.